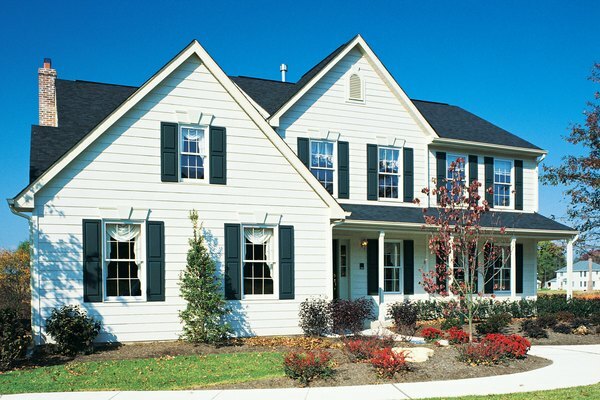 Estimating homeowners insurance costs starts by valuing your home. Homeowners insurance is not only a good idea, but is in most cases a lender-based requirement. Failing to get it on your own usually means your lender will get it for you, although with a level of coverage that may not suit your needs and at a higher-than-average cost. Protect your new home and save money by starting to shop for homeowners insurance as soon as you have a signed purchase contract. Before getting any quotes, however, take some time to assess your needs, look at available options and estimate, as best you can, what your homeowners insurance will cost. Estimating insurance costs starts by finding the replacement value of your home. Expect this amount to be lower than the purchase price because replacement costs exclude land. Look at a current appraisal or consult with a building contractor or your real estate agent to get this information. Next, create or review and, if necessary, update a home inventory to assist you in estimating the value of your personal possessions. From there, decide whether you want to insure your home and possessions for replacement value – which does not consider depreciation – or cash value – which does consider depreciation. Most policies use replacement value on the dwelling and cash value on personal possessions. Insurance costs depend on the type of policy, the amount of dwelling coverage and the deductible you choose. The type of policy refers to "perils" the policy covers. The most common, according to the National Association of Insurance Commissioners, is the "Special Form" that covers any peril except those specifically excluded on the form. In most cases, this means floods and earthquakes. Homeowners insurance comes as a package of insured items whose limits depend on the amount of dwelling coverage. Limits for some, such as a garage or other structures on your property, personal possessions you do not insure separately and loss of use coverage, are a set percentage of the amount for which you insure your home. Others, such as personal liability and medical payments, allow you to choose the coverage limits. Add-on options increase the cost of homeowners insurance. However, depending on the area in which you live and your personal circumstances, this may be a necessary expense. For example, if your home is in a flood plain, you need to have flood insurance. If you have personal possessions of great value, you may want to add a "rider" to your insurance policy that insures these items separately. Some cost considerations are outside of your control. Insurance companies also consider characteristics such as building materials used in your home, its age and condition, and proximity to a fire hydrant in arriving at a cost determination. Check with the office of the insurance commissioner for the state in which you live for help in estimating homeowners insurance costs. Most state websites not only provide a worksheet you can fill out and use as a guide for comparison shopping but also list many of the larger insurance companies in your state along with average annual costs for your ZIP code or area and discounts that may apply. Keep in mind, however, that any information you get is only an estimate. For an exact amount, contact the insurance agency or one of its agents.